I JUST DON'T UNDERSTAND: THE SBC AND "FEMALE PASTORS"
I'm praying for my brothers and sisters in the Southern Baptist Convention. This week the Houston Chronicle released a series of articles called Abuse of Faith. In these articles, The Chronicle, claims "in the past 20 years, about 380 Southern Baptist church leaders and volunteers have faced allegations of sexual misconduct. They were pastors. Deacons. Ministers. They left behind more than 700 victims." So sad. So hard. So brutal. ​As we mourn for our brothers & sisters in the SBC and the victims let's continue to focus on the crisis at hand. AND Yet...as any good political spin doctor would, let's not bridge this into other things that have nothing to do with the crisis at hand -- like female Pastors. ​What in the world does female Pastors have to do with any of this? Nothing. If I'm wrong, I'm open to a conversation but I don't think I am. You decide. Here's a downloadable article so repulsively titled, The SBC, Clergy Sexual Abuse, and Female “Pastors”, from PulpitANDPen.org. The article was published on February 11, 2019 and since been removed. There are somethings I just don't understand. Thus far in 2018, I have considered one major question, "What is the task of pastoral work?" In other words, what should pastors be doing? Pastoral job descriptions are often thought of in three categories: the preacher, the counselor, and the leader. Which is fine but I think there's something more here. Right or Wrong, I have come to the conclusion that the #1 task of a pastor is to love people. It's that simple and yet that powerful. I often think of Paul in 1 Corinthians 3:1,"If I speak in the tongues of men or of angels, but do not have love, I am only a resounding gong or a clanging cymbal." In short if pastors don't love people then they basically have lost their ministry. They can probably preach and lead well, but if they really don't love people, they really aren't leading people. I am struck by the power of love. Love takes on many, many forms and shows itself in unique ways. I love public intellectual Charlie Self's definition of work, "All meaningful and moral activity apart from leisure and rest." When we think of work we often think of it as only narrow economic constraints of time traded for money. Though pastoral work goes beyond a paycheck. It's investing in people's lives. Sometimes love is work and sometimes work is love. Many times in pastoral "work" it's "work" to love people. Once in while you'll land in a great church were people are awesome, like Victory Church, my Victors are beautiful people. They love to be loved. I'm reminded of 1 Peter 3:8 when he states, "Finally, all of you, be like-minded, be sympathetic, love one another, be compassionate and humble." I've learned to give people the benefit of the doubt. You really don't know the kind of pain that people are living in. Believe me it's a lot. ​1.) People Don't Know How to Love. I have come the conclusion that most people don't know how to receive love because they have never really been loved. It's really hard for people to trust others who are motivated by Jesus commandment to love one another (John 13:34-35). When people open their heart it's a sacred act and a real privilege for pastors. 2.) People are Broken. I continue to be amazed at the level of emotional heaviness that people have absorbed. I'm even more amazed how sensitive and how many trigger points people have due to unresolved unforgiveness and pain. I break when people have little to no tools to be able to address brokenness and loss. It's painful to watch. Scott Hagan of Northcentral University says it best, "The love pressing in must be stronger than the pain pushing out." 3.) People Need Attention. In our digital age of hyper-connectivity of social media its ironic that people have more "friends" yet more and more people are experiencing increased loneliness. People aren't craving click friends; people are craving attention from real people. Real relationships. Real friends. Real love. I'm growing. I'm learning. I'm growing and learning that real work is real love. Sometimes love is work and I'm ready to work. A former professor of mine said it the best, "You can't lead the people if you don't love the people" (Cornell West). Pastors let's get loving. I mean get to work. establish the work of our hands for us— yes, establish the work of our hands." Here's some social media posts on a few of my Victors (what we call people who attend Victory Church) at work. As a pastor, it is vital to understand the context of how their faith is worked out in the day to day reality of where they spend their time. So what do I actually do when I am at work with them. If I can I actually work. I move stuff, grab paperwork, visit customers but mostly it's understanding the daily life of our Victors. At bottom, I'm watching God at work. Amen. In late January, Dr. John Piper argued that if the Bible doesn't permit women to be pastors, then they also shouldn’t be seminary professors. As an Assemblies of God minister, I’m shaking my head and asking: are we still having this conversation? ​Pentecostals believe that God poured out his spirit on both men and women at Pentecost, inspiring both sons and daughters to prophesy (cf. Acts 2:16-8; Joel 2:28-29). We believe Scripture indicates women’s inclusion in the ministries of the new covenant age. Not only do we not have a theological problem with women in ministry in my denomination, but we fully embrace them. But do we really embrace women in ministry? Do we hire them for teaching and executive leadership positions or do we throw up roadblocks and excuses for not passing the pastoral mantle to women? I’ve observed that some of our best and brightest women have few options for upward movement from children and youth ministry, or after they return from the mission field—even in denominations that ordain women. Many women go into children’s ministry simply because they don’t have other options. But if we really believe that women should be in ministry, then the question becomes: why don't we see more women in executive and teaching ministry roles? The philosophical usually plays out in the practical. And nothing is more practical than money. Here are two economic principles that help explain the absence of women in leadership positions in the church, and even in churches that ordain women: Taste-Based Discrimination and Time Value of Money (TVM). Taste-Based Discrimination is discrimination against a group of people that leads to inefficient allocation of economic resources to that group. Time Value of Money (TVM) is the idea that money available at a present time is worth more than the same amount in the future due to its potential earning capacity. I realize economic language can seem a little complex, but I’ll break it down. Let’s take a look at the brutal economic reality and gender discrimination experienced by a hypothetical woman in ministry over a ten year period. We’ll apply these two economic principles over a decade of projected work life/income. This is a potential Time Value of Money (TVM) trajectory for a female pastor, based on what I hear from other lead pastors. This is also where we see the insidious narrative of structural sin. "Well, I'd hire a woman but I can't find a woman that is qualified." A single (unmarried), female pastor is called to ministry. She earns a BA in ministry, but then can't find a job. Why? It's not that she's unqualified. She is just as qualified for an entry level ministry position as her male counterparts with BAs. It's because a forty-something, male lead pastor believes it's not "appropriate" to mentor a twenty-something, female pastor. Fast forward a few years. Because our called female pastor can't find a paid position with a BA, she goes to seminary and earns an advanced degree. Yet, she still can't find a job because she is educated but has very little real and/or paid ministry experience. A male, forty-five or fifty-something lead pastor says, "She’s educated, but she doesn't have the professional experience we need." She's passed over for an associate role. What's really going on here? Many male lead pastors will say they don't feel "comfortable" hiring a twenty-eight year-old female with an MDiv. But when a male pastor cites “uncomfortableness” as the reason he won’t hire a female candidate, what’s often really at play is his own insecurity at the idea of mentoring a woman that is younger and more educated than him. This is where we see Taste-Based Discrimination in labor economics. Our fifty year-old lead pastor believes he would not be the "right person" to mentor an under-thirty, female pastor. He uses words like "uncomfortable," "inappropriate," "not the right fit," and other soft and polite language. He practically justifies the non-hire because the female pastor doesn't have the experience to win the post. He doesn’t recognize his own bias or consider the reason the female candidate might not have as much “experience” as a male candidate. A decade has passed, and now the real TVM labor economic issue comes to bear. She can't find a job in ministry, so she goes to earn a DMin, thinking: Who wouldn't hire Dr. Me? Now she's a thirty-three year-old, possibly married with preschoolers. She holds an MDiv/DMin and has volunteer but no paid ministry experience. So then a sixty-something lead pastor says, "Well, she's educated but 'young in ministry' with no paid experience.” She’s also now over-qualified and “too old” for an associate pastor role. Now she’s ten years (TVM) down the ministry road and, since she never obtained paid ministry experience, she can't compete for a post that pays $50,000-60,000. If she could win a post, she can't afford to take that $28,000 entry level salary because she has student loans and perhaps also a family. Reality sets in. She lacks ministry experience, especially paid ministry experience. She’s loaded with educational debt. More importantly, she doesn’t have mentors and therefore, networking ability. She becomes a "consultant" and "speaker." She never really fulfils the pastoral calling God has put in her heart. But she has a great blog. Now, let's ask the obvious: why didn’t our hypothetical female pastor’s career ever take off? Well frankly, it's because our hypothetical male lead pastor engaged in a Taste-Based Discrimination practice known as the "Billy Graham" rule. Our male pastor hid behind the "Billy Graham Rule" for a lifetime, all in the name of holiness. Justified or unjustified, he’s allowed his own bias to obstruct the careers of female pastors. He will never hire a younger woman, nor a woman who is more educated than him. And he’ll justify it because those women don’t have professional paid ministry experience. Moreover, he’ll defend his action, citing a desire to "avoid the appearance of evil" (I Thess. 5:22). Our talented female pastor is now pushing forty. She’s never had space and freedom to discover "God's will for her life." She’s never been mentored. She’s never been hired. She’s over-educated, in debt, and working as a "consultant and speaker." A result of systemic sin. And yet, this happens to women in ministry all the time. Interrogate your own response to women pastor candidates. Are your concerns legitimate? Are they informed by what you know about systemic bias and Taste-Based Discrimination? Understand and trust that most women pastors are not predators or threats; acknowledge that it’s wrong to treat them that way. Be comfortable and confident in your own marriage (if married) and make sure your sexuality is in a healthy place before mentoring anyone else or serving as a spiritual leader/counselor. 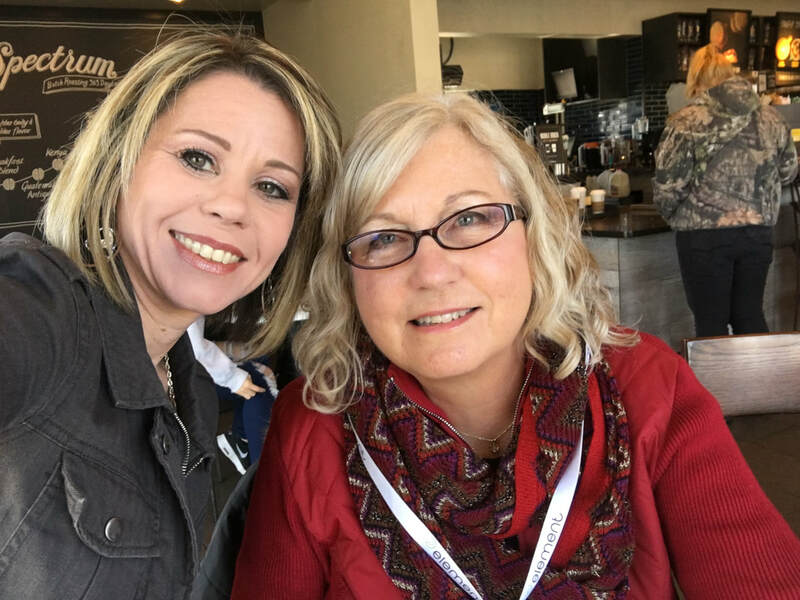 Ask a team of spiritually mature Boomer/Gen X women to mentor younger women pastors on any issues that you aren’t equipped to advise on: sexuality; how to break the glass ceiling; pregnancy and motherhood; etc. Use common sense, respect boundaries, and don’t speak on topics you experientially can’t understand. Don’t make a fuss about riding in a car with a female pastor. It’s offensive and demeaning to assume that her femaleness makes car-pooling dangerous/taboo. Don't be stupid. Leave the doors open in your office. Meet in public places. Don't get in a hot tub. Exercise non-discriminatory and reasonable caution. Most of all, ask any young women you’re mentoring what they feel comfortable with: "Would it be okay if we went/did ______?” Let her say "Yes” or “No." Empower her by giving her an opportunity to articulate what she needs to feel safe and respected. I should not have to say this one, but: simply respect and treat her like the professional that she is. Pray for her, like you would any person who has been entrusted to you and who looks to you for spiritual guidance. Let’s all work a little harder to ensure that a pastoral career is actually an option for gifted and called women in the church. According to the New York Times, the rally on Saturday, August 12th was organized in opposition to a plan by local officials to remove a statue of Robert E. Lee, the Confederacy’s top general, from Emancipation Park in Charlottesville. A man and his inheritance." Micah warns about those who plan and execute evil. The natural contextualization of scripture to culture is obvious -- this kind of blatant Neo Nazi racism is demonic. Victory Church's response to racism. Though, I find myself being a bit leery when I see many churches, frankly pastored by "elite white men", releasing "official" statements condemning these actions. At some level, it's an indictment. It makes me ask questions like why do we have to release a statement? Doesn't the culture know where the church stands on race? Shouldn't we be preaching on the sin of racism regularly? One could see such public statements as a token nod to our African-American citizens or worse simply disingenuous -- "I have a black friend therefore I condemn this action". "Do we actually believe that all people are made in the image of God?" "Do we preach repentance of the sin of racism regularly?" "Do I directly talk about it even when it doesn't come up?" "How do we even know how to talk about 'southern pride' when we see a rebel flag?" "Do I read, listen and teach about what the 'new' Jim Crow looks like in American life"? The answer to these questions is "Yes" but not nearly enough. It just seems too convenient to jump on the social justice train and a little opportunistic. Though if "white elite pastor's" don't say something then do they / we / I are accused of "the silence is defeating" motif. What to do? ​being consistent on the sin of racism brings a level of credibility. 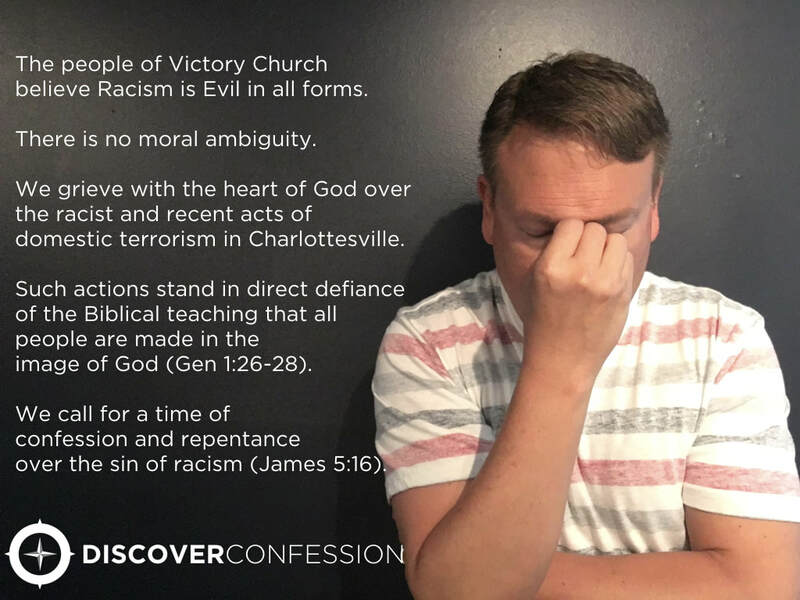 Here at Victory Church, we released an official statement calling for a time of confession and repentance (James 5:16) over the sin of racism. Why? Because we understand the sins of our fathers. We regularly address and live with the historical issue of racism. We live in York-Poquoson in the Chesapeake Bay area of Virginia. We fully understand the diabolical history and live with the residual effects of the structural sin of racism. It is estimated that 127,200 slaves were brought through the Chesapeake Bay. Every time I go to the store, the golf course, a restaurant or coach one of my 7th grade soccer players. I'm keenly aware of our collective heritage. Our heritage is slavery. The answer is not to take down statues and flags one answer is to humble ourselves, pray and confess and repent from our wicked ways so God will indeed heal our land (2 Chron 7:14). We cannot rewrite of history but we can call for a reassessment of history. Instead of looking at these monuments of pride we should view these monuments as a reminder of our misguided past. We have to tell the truth. It's not pretty. It's not easy. We must confess & repent of racism then go and sin no more. ​As a pastor who leads a faith community who's mission is to "Invite people to discover Jesus in everyday life" it is obvious to me that we simply are not praying, teaching and repenting enough. The "white church" allowed this worldview to continue not only a few hours away but these kinds of attitudes exist in our own communities. A Parent, Pastor, Professor, Pentecostal, PhD (c) all Pastoring Faith, Work & Economics @Victory Church. JAMÉ BOLDS. COPYRIGHT 2018. ALL RIGHTS RESERVED.